Huawei Nova Plus is greater than both devices presented in this series and brings a 5.5-inch Full HD display, Qualcomm Snapdragon 625 chipset with eight cores, three gigabytes of RAM, 16-megapixel front and eight-megapixel rear camera, as well as the battery capacity of 3,350 milliamp-hours. Equipped with the Android 6.0.1 operating system and user interface Emotion UI 4.1, a set of its positive attributes exceeds its shortcomings to the extent that at the end of every customer feel that he got what he expected. Hardware upper middle class packaged in a metal unibody chassis, with the characteristic finish for the flagship phone category, the recipe is that Huawei recently introduced a series, called nova, is trying to reach out to women demanding audience, and to those users who want a convincing and impressive smartphone. Offer a premium version with average abilities of the phone is a trend that Chinese companies have long been forcing on the market except that Huawei, as an already established name in China, for this device requires more money. 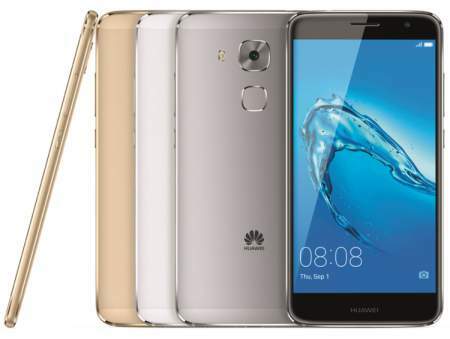 Unibody brushed metal available in three colors (Prestige Gold, Mystic Silver, and Titanium Grey), in combination with 2.5D glass on the front panel,Huawei Nova plus seems convincingly most beautiful phone that Huawei has so far produced and one of the most elegant 5.5 -inch phones on the market. The impression is really convincing finish premium class corrupts only the fact that the display has no protective layer at all, which – at least on paper – makes it less resistant to scratches than most competing phones, in which much attention was devoted to the combination of aesthetics and robustness. Huawei Nova plus comes with a 5.5-inch IPS display with Full HD resolution (1,080 × 1,920 pixels), which is one of those characteristics which clearly shows that – hardware – comes to mid-range device. However, this results in a more than pleasant a pixel density of 401 pixels per inch, and the sharpness of the display image nobody will have any objections. Praise it deserves and with above-average contrast of the screen, which is mainly due to the very dark blacks, and, when it comes, this device better than the current flagship of this manufacturer Huawei P9. 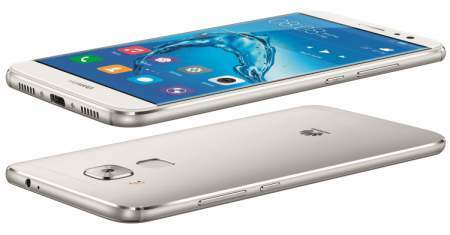 Eight-core Qualcomm Snapdragon 625 chipset is a good choice for a device of this category and this screen resolution. Eight Cortex-A53 cores clocked at 2.0 beats gigahertz, and there is also Adreno 506 GPU, and three gigabytes of RAM. Huawei Nova plus comes with 32 gigabytes of memory for storage. Unfortunately, the model with 64 gigabytes of memory for storage and four gigabytes of RAM is only available in the Chinese market. When it comes to connectivity, we must be careful when using two SIM cards, because then only one offering 4G connection, while the other is restricted to 2G data transfer rate. This card to 4G connection transfers data according Cat.7, which means it offers maximum download speeds of 300 Mbps and uploads of 150 Mbps. It is commendable that the device comes with an FM radio, which is lately increasingly rare case. Battery capacity offered by Huawei’s Nova plus 3,340 MA-hours, thanks not too demanding display and chipset, whilst the large diagonal screen, the autonomy of the device is above average. It is possible to watch video Full HD resolution with maximum screen brightness for almost eight hours, with the average use of the phone will not need to be connected on the charger more often than every other night. When using two SIM cards simultaneously, autonomy is usually shorter, but this device is that the difference is reduced to a minimum and almost imperceptible. Huawei Nova Plus rear has a 16-megapixel camera with dual-color LED flash, and optical image stabilization, with an aperture of f / 2.0, a hybrid autofocus and PDAF + contrast detection. Sounds powerful, but in practice – and with the rest of the phone – a camera whose appearance is misleading. At daylight camera on the Huawei Nova plus actually offers very beautiful image,properly exposed, with realistic colors and saturated with a large amount of detail, which is expected for such a resolution.In such circumstances, the recording will have no objections.At night, however, even when using shooting mode called Super Night, when the ISO – depending on the assessment of the sensor – sometimes rises to the maximum, the high level of image detail lost. An even greater problem than that is the device in dark shooting conditions have great difficulty with focus, however, or it takes a long time, or, finally, the image is out of focus. Above average good result can be obtained only when using a tripod and manually adjust the shutter speed. When it comes to shooting video, rear camera can record 4K video at a frequency of 30 frames per second, which is still not so common in this category phone. For video quality is worth the same as the photo – per day is good, at night only if we make something that is static and close enough. It is unfortunate that Full HD resolution video can not be recorded at a frequency of 60 frames per second, but only 30 frames, but this is due to the chipset, not the camera. The contrast of the screen. Poor visibility of the screen when exposed to sunlight. The lack of detail on night photos.